Syrian Conflicts | unavoidable pieces to understand the multilayer conflicts in Syria and the region. unavoidable pieces to understand the multilayer conflicts in Syria and the region. In the recent months Yemen has descended into conflicts between several different groups. Iran-backed Houthi militias took control of the capital city and the parliament, after a coup d’etat in Septmeber 2014 in order to overthrow U.S./Saudi-backed President Abdrabbo Mansour Hadi. President Hadi fled to Aden and Houthis continued their march to the south and threatened to overrun the southern port of Aden. Regional and international concerns grew about Houthis’ intention to control Bab al-Mandeb strait, a very important corridor for the world’s maritime trade. 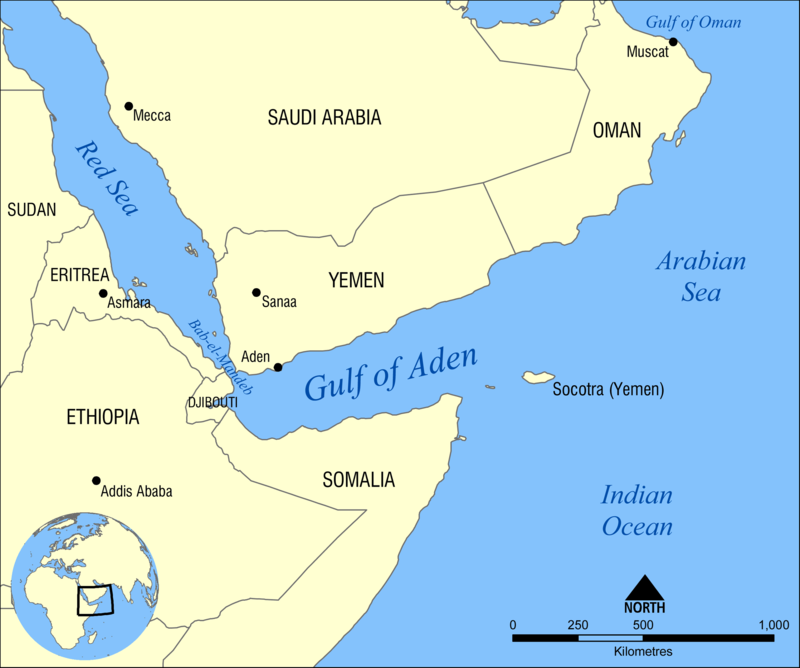 The Bab al-Mandeb strait is a strategic link between the Indian Ocean and the Mediterranean Sea, via the Red Sea and the Suez Canal. About 8-10 percent of world trade travels through the strait, including more than 4 percent of the world’s oil and petroleum products. On March 25th, the Saudi-led coalition launched the first strikes against Houthi targets in Yemen. It is still unclear which countries are included in the coalition, but most probably UAE, Kuwait, Qatar, Bahrain, Egypt, Jordan, Morocco, Sudan and Pakistan. The United States is providing logistical and intelligent support. The Houthis will be halted soon. President Hadi might go back to Sana’a; nevertheless, the root causes of Yemen’s crisis are still there. Yemen’s allies should help its government to address the deep political, social and economic problems. Without real development, Yemen will keep descending into a bloody civil war, no matter how many countries participate in the air-strikes. 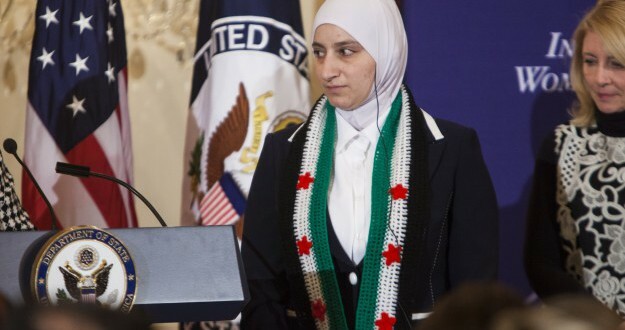 Majd al-Chourbaji, A Syrian nonviolent activist, received the International Women of Courage Award in a ceremony at the U.S. State Department on March 5th. During the same week, her people in the town of Darayya knew that many of their detainees at Al Mazzeh Air Force Intelligence centre were killed under torture. The killed detainees’ pictures were leakedincreasing the sorrow between the Syrian people in general and the people from Darayya in particular. And Majd’s story is not that different. In this interview, Majd tells her story, a story of a couple, a country and a revolution. She says that she participated in the peaceful protests in Darayya in 2011 and her husband highly encouraged her and participated in different peaceful activities as well. On December 31, 2012, Majd says, and while she was crossing a checkpoint in Darayya the security forces detained her because they found a book for Qaradawi in her car which was left there for long time. Her husband hurried to the checkpoint to help her and they detained him as well. She was released after seven month. Trying to get news about her beloved husband, she kept asking about him. And in August 2014 they confirmed his death to her. she received all his personal belongings, “even the wedding ring”, Majd says. I can summarize the informaiton in this short interview but I can’t summarize the feelings and the deep meanings behind it. That’s something you can get thru Majd’s voice only. When you watch the interview don’t just read the subtitles, watch her eyes, listen to her voice and feel her story, a story that happened and happens almost on a daily basis with a different Syrian family. Those grievances need justice, and without justice there will be no peace. Masar Media has produced this video about the Syrian Revolutionary Front (SFA) and its leader Jamal Ma’arouf. In November 2014, Al Nusra Front and Jund Al Aqsa decisively defeated SFA and Ma’arouf fled to Trueky. I am not sure if Masar Media is affiliated with Al Nusra Front, but I am sure it’s close to it and to Jund Al Aqsa in particular. Masar’s Twitter and Youtube accounts were created on December 11th 2014, and its Facebook page has only 20 Likes. Apparently Masar was created to publish some videos without risking the account to get suspended. That is why it defines itself as a revolutionary media whiteout linking itself to any jihadist groups. So far, Masar has published only two videos and they target FSA and its leader Ma’arouf. It is a vital part of Al Nusra strategy to attack its opponents on the social networks and publish what it calls crimes against Jihad and Jihadists. In this video, Masar accuses Ma’arouf of killing the founder of Jund Al Aqsa Abu Abdulaziz Al Qatari and throwing his body in a water well. The video interviews people as witnesses on Ma’arouf crimes, and at the end it shows extracting the body of Abdulaziz AlQatari from a well. The video was published on March 5th, 2015. I expect them to publish videos about Hazzm Movement as well in the future and accuse them of similar issues to justify their battles against them. 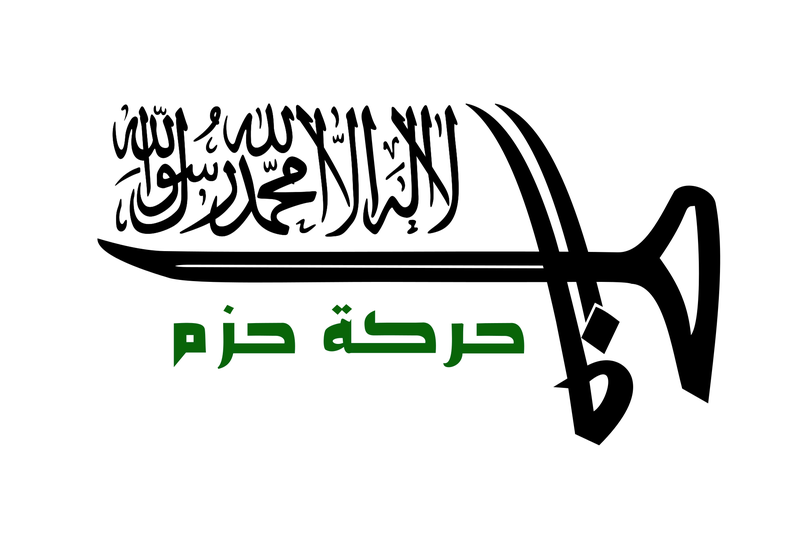 After days of bloody clashes with Jabhat Al-Nusra (Al Qaeda affiliated group) Hazzm Movement dissolved itself and joined Aljabha Alshamiya (Levant Front). The tension between the two groups started six months ago and increased sharply in the last couple of weeks when Al Nusra accused Hazzm of abducting four of its leaders. Then Al-Nusra declared an open war against Hazzm Movement and heavy clashes took place near the town of Al-Atareb in Aleppo province (30 KM west of Aleppo city). Al-Atareb town was one of the first towns to revolt against ISIS in January 2014 and forced ISIS fighters to leave the town. Hazzm Movement in an alliance of opposition armed groups and backed by the US and the west, and they were equipped with BGM-71 TOW anti-tank guided missiles. Al-Nusra is aggressively trying to dominate northwestern Syria to establish its emirate. It will keep fighting the moderate groups one after one. I couldn’t write regularly in the last few weeks because I moved to Washington, D.C. for my new job. I was very busy trying to settle down and get familiar with the city. Currently, part of my job responsibilities is to attend different events related to the Middle East in think tanks around Washington, D.C. and that will help me to write deeper about the ongoing conflicts in the region.. Different Shabiha groups (armed pro-Assad militias) are trying to find new ways to fund themselves. The regime is not able to finance them and hence it allowed them to find ways to generate cash money. 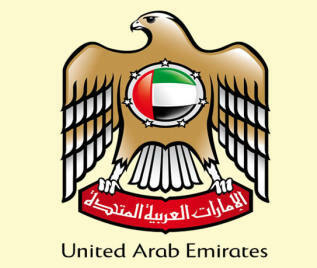 Their rely on criminal activities and running extortion networks and the ransoms from kidnapping. In 2012 and 2013, Shabiha groups targeted mainly the uprising neighborhoods. By time, these sources started to dry because more areas went out of the regime’s control. The shabiha started to target neutral and pro-Assad neighborhoods. Apparently, they are targeting the christian community now, and once they realize it is not enough anymore, I believe they won’t hesitate to target other neutral or loyal communities, including the Alawite ones. 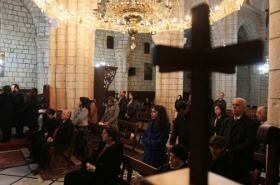 “A number of cases of abduction of Christian girls have increased recently in the city of Homs, especially in the pro-regime neighborhoods. A member of the Reconciliation Committee, Father Michelle Numan, called on the authorities to reveal the fate of the abducted girls and uncover the fate of young Christians who were kidnapped, saying they were likely to have been abducted by the security forces. I do not think their goal is to displace the christians, however, it is for financial reasons and nothing will stop them of doing that.